Today we walked to the beach with Ms. McLoughlin's class. 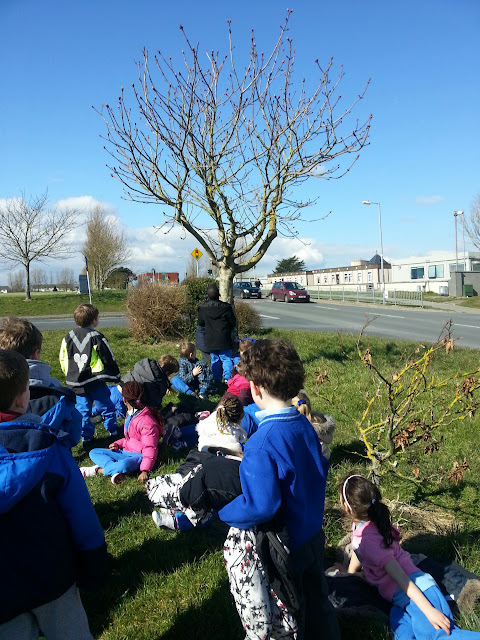 We looked at all sorts of houses. We found bungalows, 2 story houses, 3 story houses, caravans, camper vans, detached houses, dormer houses, a thatched cottage, apartments, semi-detached and detached houses and even a split level house. The highlight of our house spotting was when we got to see inside a real caravan! What a treat! On our way to the beach we spotted all sorts of shapes. Lots of the signs we passed were triangles, diamonds, rectangles, circles or octagons. We also spotted cuboids, cylinders and spheres. Lastly we just had fun. 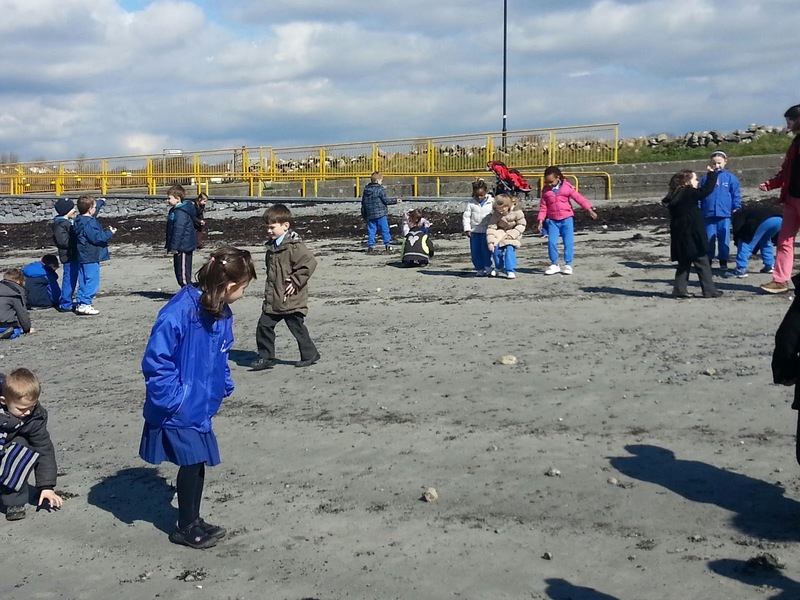 Fun on the beach on such a nice day. 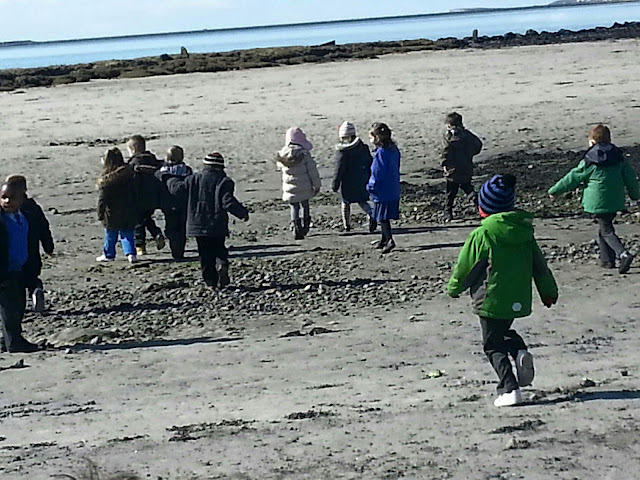 It is great that our school is so close to lovely Ballyloughane beach.